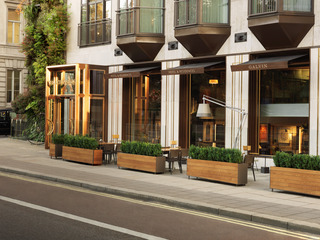 This hotel is located on Park Lane, lying between the shopping districts of Knightsbridge and Mayfair. This charming hotel is set overlooking the Royal Parks and Buckingham Palace. This deluxe hotel revels in its prestigious setting, offering guests a prime location from which to explore the wealth of attractions that the city has to offer. Guests are located within easy access of a host of shopping opportunities, dining options and entertainment venues. This wonderful hotel greets guests with the promise of a truly unrivalled experience. The guest rooms are sumptuously designed, offering visitors a haven of peace and luxury. The hotel features 2 wonderful restaurants, where delectable dining is waiting to be enjoyed. This 5 star hotel is located in the city centre of London and was established in 1970. It is close to the Buckingham Palace and the nearest station is Hyde Park Corner,. The Hotel has a restaurant, a bar, a conference room, a coffee shop and a fitness centre/gym. All 193 rooms are equipped with minibar, hairdryer, safe and air conditioning. Independent, award-winning and one of a kind, The Athenaeum Hotel & Residences is London's foremost family-run five-star hotel. An original Art Deco building located in the heart of Mayfair, The Athenaeum Hotel & Residences is the ideal base for your city stay. Following a multi-million-pound refurbishment and with Michelin-starred chefs The Galvin Brothers now at the culinary helm, this Mayfair icon is poised to begin a new era. The Athenaeum Hotel & Residences offers a choice of spacious rooms, suites and a spectacular rooftop Penthouse with private balcony and 180-degree views of the city skyline. Adjoining the hotel are 18 private residences accessed via your own private entrance, with kitchens, living areas and 24-hour In Room Dining. The elegant property is located in the city centre of London and was established in 1987. The establishment is close to the Buckingham Palace and the nearest station is Green Park. 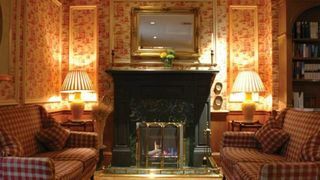 2 tube stations are a brief walk away.The hotel offers a restaurant where guests may enjoy a buffet breakfast and a bar. In addition, it has a conference room for meetings and private functions.All 48 rooms are equipped with minibar, hairdryer, safe, trouser press, ironing set and air conditioning. This 5 star hotel is located in the city centre of London and was established in 1851. It is close to the Buckingham Palace and the nearest station is Green Park. The Hotel has a restaurant, 2 bars, a conference room and a fitness centre/gym. This hotel is superbly placed in London's premier commercial and cultural centre. Park Lane, Piccadilly, The Royal Academy of the Arts, Buckingham Palace, Bond Street, Green Park and Hyde Park are a few minutes' walk away, as are Oxford Street, Piccadilly Circus, Regent Street and Knightsbridge. There is a plethora range of restaurants, bars and clubs in the vicinity. Facilities include a lobby with 24-hour reception, hotel safe, lift access and currency exchange, a café, bar and restaurant. The hotel also offers conference facilities, Wi-Fi, and room and laundry services. 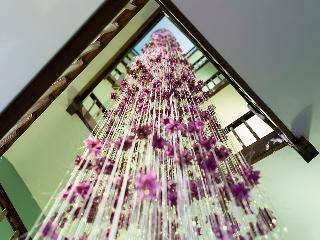 The May Fair Hotel has been a luxury icon in London's most sought after address, since its doors first opened in 1927. The May Fair Hotel boasts some of the largest bedrooms in London including an iconic collection of suites. A 3D cinema, tranquil May Fair Spa, 24hr gym and adjoining Palm Beach Casino make it one of the city's most sought-after places to stay or visit. Just down the road from Buckingham Palace & Bond Street's exclusive jewellery stores, cafes and boutiques as well as Berkeley Street's world famous restaurants, it is the perfect base from which to explore the fashion, art and culture that make Mayfair THE place to be for locals, celebrities and discerning business travellers alike. Green Park station is around the corner, providing easy access to Canary Wharf.The May Fair Hotel's bedrooms features elegant, contemporary decor, Italian marble bathrooms, REN toiletries & luxury Vispring beds with down pillows & 350 thread count Egyptian cotton bedding. All are equipped with free high-speed WiFi up to 150mbps on unlimited devices and Samsung TVs offering up to 300 channels in multiple languages. May Fair Kitchen offers mouth-watering menu of Mediterranean style sharing plates and afternoon tea while enjoying the cool atmosphere provided by drop lighting, contemporary furnishings and a DJ three nights a week. As the flagship kitchen, May Fair Kitchen showcases the best of Spanish and Italian small plates while also embracing our signature contemporary Peruvian & Mexican dishes from Monmouth Kitchen and Leicester Square Kitchen. Across the lobby, May Fair Bar is the perfect spot for a daytime meeting or coffee...but when the sun goes down, it transforms into one of London's iconic night spots. Finally, May Fair Terrace provides a sleek, open-air enclave for drinks and cigars. We are pleased to announce the launch of our new in-room dining menu. Please enquire within the hotel for more details.Please provide a valid credit card upon arrival at the hotel. 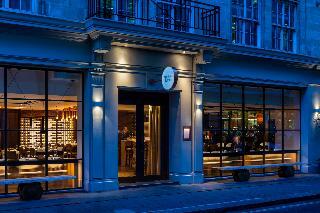 The hotel is located in Mayfair, London's premier hotel district. Green Park and the Royal Academy lie near the hotel. Regent Street and many entertainment facilities can be easily reached on foot. Heathrow airport and Victoria train station are easily reached within few minutes. The hotel comprises a total of 194 tastefully designed rooms. It is air-conditioned and has a lobby with 24-hour reception desk. A currency exchange facility is also available. Guests may enjoy a moment of relax at our fancy hotel bar. Meals may be selected at our cosy restaurant, offering delicious meals. A conference room is available for our business guests. There is also a parking available. Rooms are comfortable and fully - equipped. Individually adjustable air conditioning and heating come as a standard. This luxurious hotel boasts a prestigious setting at the heart of London's city centre. The property sits proudly close to Piccadilly Circus. Green Park Station is conveniently located nearby. A wealth of exclusive shopping, dining and entertainment opportunities can be found in the area. This sumptuous hotel welcomes visitors with the promise of an unrivalled experience. Elegance and luxury abound throughout the property. Sumptuously-designed guest rooms offer class, luxury and unequalled convenience. Exemplary facilities and services offer visitors a first-class experience. Business travellers will be pleased by the conference facilities that the property has to offer. A delectable dining experience can be enjoyed in the high-class restaurant. Ideally located in central London, this property is just steps away from a number of attractions. Guests will find themselves within easy walking distance of Harrods, Harvey Nichols and Sloane Street. Many delectable dining options, stylish shopping opportunities and lively entertainment venues can be found nearby. This hotel prides itself on its attention to detail and expert service, complemented by personal touches. 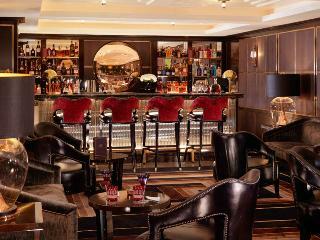 A member of the 'Small Luxury Hotels of the World', this hotel holds 5 AA Townhouse Red Stars. Guests can dine in style in the restaurant, which is hailed as one of the best fish eateries in the city. The cocktail bar offers an outstanding choice of drinks.